CUSTOM 40FT TWIN HULL FIBREGLASS HOUSEBOAT WITH INBOARD DIESEL. AU $84,000	Need Finance? Need Insurance? Description: Custom 40ft twin hull fibreglass Houseboat with inboard diesel. Encumbrance Check? 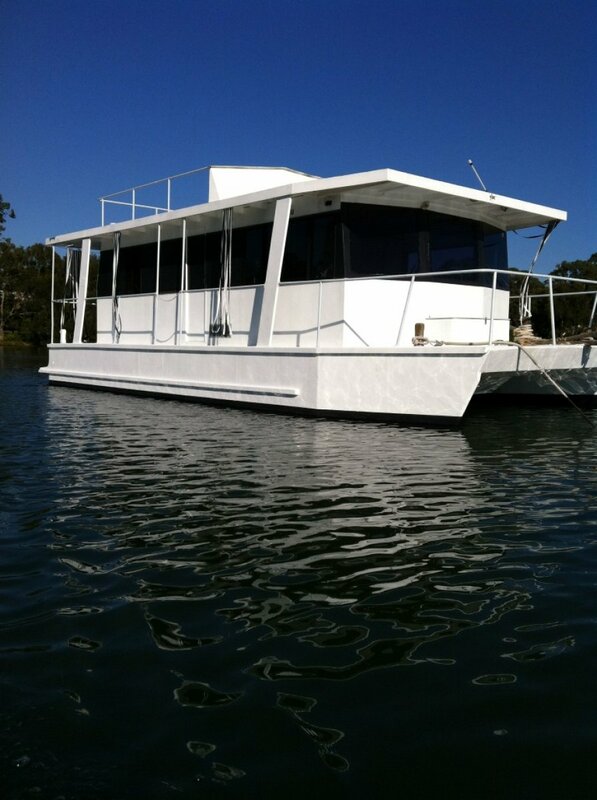 Situated in a sheltered bay on Lake Macquarie is our Custom Built 40ft x 18ft Houseboat. Construction is fibreglass including the two pontoons. Built in 2000 by a Gold Coast boat builder. Powered by a 3 cylinder Yanmar diesel - 33hp. Main bedroom has an internal door from the hallway plus sliding tinted glass door to rear. Double bed and sliding mirrored doors to large wardrobe. There is a single bed in the front lounge area and room for additional fold up beds. The kitchen has a gas upright stove/oven and a large gas/electric fridge. Good cupboard space and benchtops with a large pantry. The bathroom is internal and includes a full size shower and full size toilet/cistern plus hand basin. A gas hws supplies hot water to the kitchen & bathroom. Internal staircase to upper deck area. All lighting is LED. The house & starting batteries are charged via solar panel. Antifouled + new shaft in October 2017. For further information contact Chris on 0417 388 371. S/s sink, upright 4 burner gas stove/oven/griller, large gas fridge/freezer, lots cupboard/storage, pantry. Starting & house batteries, solar panel. Safety switches. Very reliable, in really good condition.